If you are looking for a little bit of fun and learning this summer - be sure to check out the workshops I'm teaching across the country. Please call the store nearest you for class schedule and additional information. If you have any questions you can always email me at paula@timholtz.com! What do you see when you look at a piece of art? Do you ever wonder what choices the artist made in order to hide messages with the work? How they incorporate signs and symbols to cleverly camouflage personal devotions in plain sight? - You know, the kinds of things that make your work privately special to you. 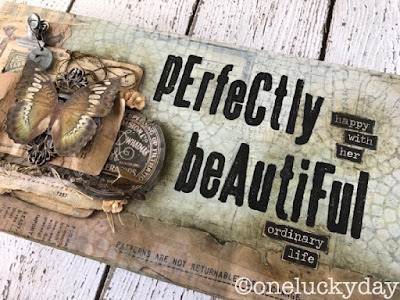 In this workshop we will not only explore the new Tim Holtz Oxide Inks to create a colorful background for a 9 x 12” wood panel but each piece will be filled with personal devotions. It will reflect your feelings and emotions about the people you care about most and the joys they bring you. If you love vintage like I do, you will love this 12 x 6 x 1 1/4” wood panel. Distress Paint, Memoranda Paper and new Stampers Anonymous Stencils will transform a simple wood box into a piece of art. Add in layers of idea-ology products including the new Tim Holtz Foam Stamps (plus a little trick for perfect stamping) and you have the perfect gift for yourself or someone you love. We’ve all saved them; that scrap of vintage ribbon, the random postcard, or found trinkets. These are the treasures of our sentimental journey through life that qualify us as part of the “Vagabond Society.” Join me in a paying homage to eclectic gathering in creating a 5 x 7” zig-zag book to showcase and celebrate the art of accumulation. The ephemera inspired Memoranda paper, idea-ology metal trinkets as well as some vintage finds will transform the simple foundation into a layered book that unfolds to tell your story in a very unique way. We will be working with Ranger Distress Grit-Paste, crayons, paints and inks. 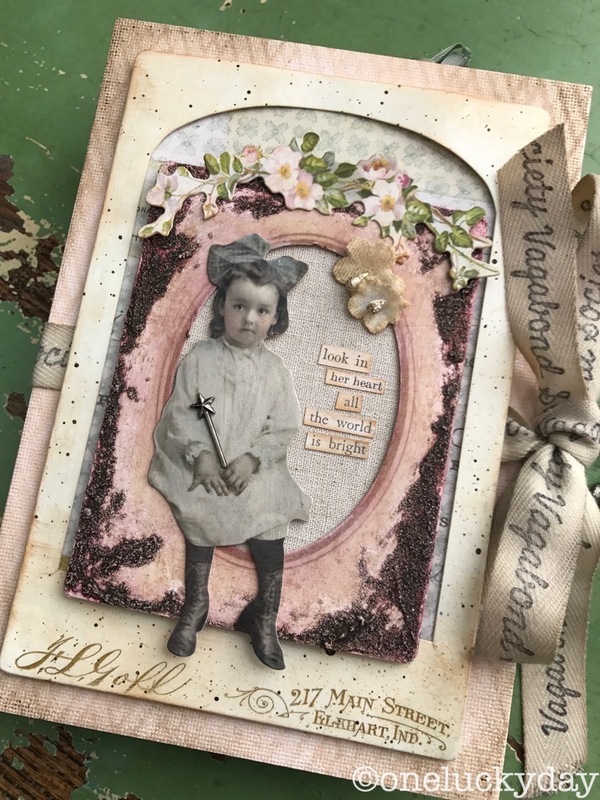 Combined with Stampers Anonymous stamps and stencils for added details and we’ve got a vintage look you’ll love. 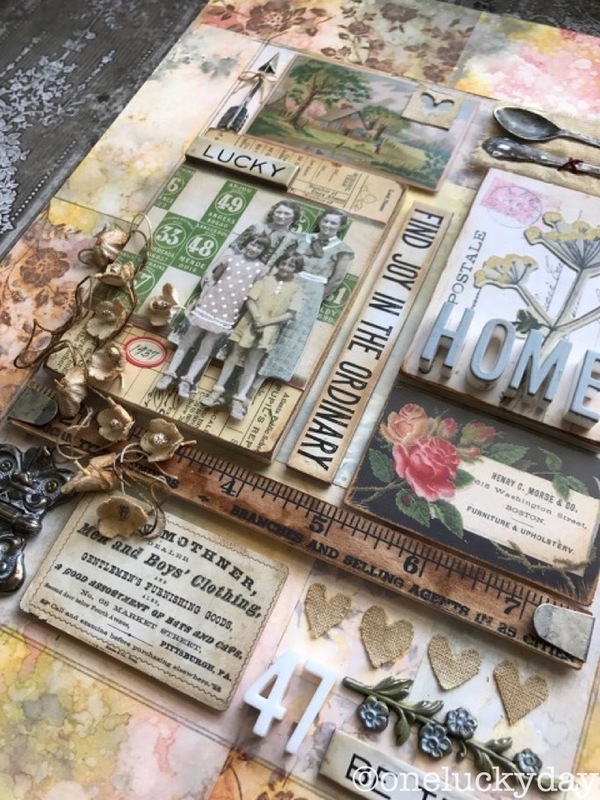 Absolutely adore all of these pieces Paula, - and of course I would love to do a workshop with you! When will you come to the UK next??? I was just there last month Astrid but I'm always on vacation in London (three years running). Love to teach there someday but getting all the Ranger product over and back presents quite a challenge! See you at the Doodle next month! See you and Donna soon! Linda - the placing I am teaching are listed at the beginning of the post.